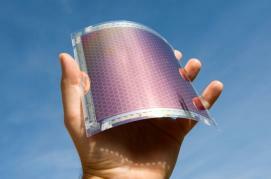 Solar cells convert energy from the sun into usable electricity. A photovoltaic (PV) array comprises a number of solar panels connected together that produce direct current (DC) when exposed to sunlight, with maximum output occurring while they face the sun directly. The PV array will start producing power shortly after sunrise, reach a maximum when the sun shines directly on the array, and continue to supply DC electricity until the sun sets. The amount of sun energy available for you to harness depends on your location and environment. The available sunshine hours and your load requirements (amount of lights, number of appliances etc.) determine the solar array size required. Sunshine hours are affected by latitude, cloud cover, shading factors from trees, mountains and other buildings, and the seasons. The effectiveness of solar array collection of this energy depends on installation angles of solar panels, the cleanliness of your solar panels and the efficiency of the PV array. All life on earth depends on the sun. In fact all of the energy that we use - including coal and oil - is a form of stored energy from ancient sunlight. Around 1 millionth of the sun's energy strikes the Earth - it is a boundless resource that can be converted directly into electricity through photovoltaic cells without carbon emissions, noise, or the use of moving parts. Producing your own electricity means you will save huge amounts on your electricity bill. The widespread use of non-renewable energy from fossil fuels has resulted in massive ecological destruction through mining and the release of huge amounts of carbon into our atmosphere. Switching to solar power is the most reliable and cost-effective way to reduce your household's impact on the environment. The model of centralised power stations disempowers us as citizens and limits our ability to combat climate change. Huge corporations have invested heavily in old technologies and are reluctant to change. Going solar empowers you to produce and save energy at the point of use, thus allowing you to be part of the change that needs to happen for our future. On cloudy days minimise the use of high load appliances such as toasters, irons and electrical heaters etc. Save sheet and towel washing loads for sunny days. Spread electricity-intensive chores out over the week to avoid placing too high a load on your system. Check your system after cloudy periods. Above all, be practical about what your power needs are and choose an appropriate solar system to accommodate those needs. A 1 kW grid interactive solar system will save roughly 7 tonnes of carbon dioxide per year. If all Australian households switched to solar hot water and renewable energy sources we could reduce Australia's dependency on coal fired power stations by a full 50%. Syd Welling of Sunbeam Solar Systems worked for 8 years as an electrician in the coal mining industry before adopting the solar lifestyle, so he understands profoundly the enormous scale of the destructive impact that coal consumption has on our environment. Grid power derived from coal is efficient to less than a fraction of a percent. Coal is simply old sunlight locked up in carbonised biomass through the process of photosynthesis from the sun that landed on earth aeons ago. Procrastination is our enemy - many people hold onto old technologies in a vain hope that 'Silver Bullet' new technologies will somehow solve all our problems. For too long we as individuals have shirked our responsibilities in the hope that governments and large corporations know what they are doing. Climate change, peak oil, habitat destruction and species extinction are all proof that they haven't got a clue and/or are in the pockets of the powerful fossil fuel lobby! Solar is an almost infinitely abundant energy source for humanity. Adopting its use is about playing a role in the future for the generations of humans who will come after us. It is promoting the sorts of cultural changes we will have to make to create a new long term economic model and an industry that will employ our children and their children. When Sunbeam Solar designs your solar system you will be asked to complete an estimate of your power usage based on the electrical appliances that you will be supplying from your solar power system. This estimate will be the basis of your system design. Living with a solar power system requires some adjustment to live more closely with and be more aware of your environment in order to achieve the most cost-effective power system. The electrical peak load that draws power from your battery is a crucial factor in your system design. The greater the draw off rate (how fast electricity is drawn from the batteries), the larger the battery storage requirements and the higher the draw off voltage. Above a maximum specified rate the batteries will collapse and fail and result in expensive replacement. Higher draw off rates also require bigger inverters, and possibly larger solar arrays. In an off-grid or standalone (ie: non grid-interactive) solar system, in order to keep your solar system investment costs low., we recommend the use of complimentary power sources such as gas for heating and cooking, solar water heating, and if required a generator for peak load items such as heavy power tools. Small power tools can be used, but electrical arc welding should not be supplied from the solar power system.